Running a business is a massive undertaking. When you’re juggling day-to-day operations, maintaining staff productivity, and meeting your clients’ needs, it’s easy to understand how disaster recovery could fall to the wayside. After all, what are the odds that an earthquake, tornado, or crippling server bug will actually roll through your office? Well, it’s actually more than you think. 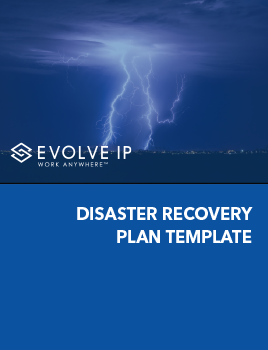 In a recent survey conducted by Evolve IP, it was found that 34.5% of companies claim to have suffered from at least one incident that required disaster recovery. Operating under the assumption that a catastrophe won’t strike may leave you, your business, and your clients vulnerable and you don’t want to find that out when it’s too late. As a business owner or company leader you have a responsibility to your customers to maintain vital technology infrastructure and systems while providing uninterrupted service, no matter what the situation may be. That is precisely why investing in proper disaster recovery services is crucial to safeguard your company’s data even in the most trying times. Despite explosive growth in the technology and IT sectors, far too many businesses still depend on outdated and risky data backup strategies. 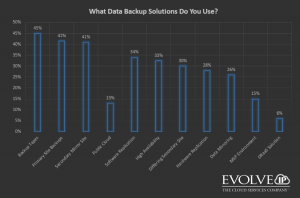 Based on a recent analysis of 2,084 organizations, 45% of those surveyed rely upon backup tapes as their primary data recovery implementation. 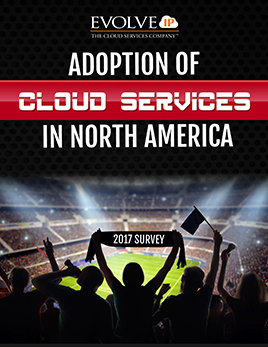 In addition, 41.5% of respondents safeguard their data with additional servers and devices at their primary site, while a shocking 5% utilize no data recovery implementation of any kind. Each legacy method poses serious security risks that could potentially grind your daily responsibilities to a screeching halt. Consider this, suppose you align with nearly half of survey respondents who store their backup data at their main location. If a fire erupts in your office, there’s a good chance that those tapes won’t make it out intact, not including potential damage to your servers. Reliance upon onsite replicated data centers, as well as traditional tape solutions provides little security against environmental disasters, but that’s not the only problem. Other points from the survey rank “hardware failure” as the highest culprit of data loss, adding yet another cog in the Murphy’s Law risk machine. Or perhaps your method of data recovery hinges on regular off-site backups. Picture the IT guy driving your backup disks home in the trunk of his car each time a backup is done; imagine what could go wrong along the way. Secondary mirror sites boast an added level of security, however many are simply not far enough away to negate the effects of a major disaster. In fact, 35% of businesses’ data recovery sites are less than 100 miles away from their primary location. Whether the region is facing power outages, winter storms, or terror threats, it’s wise to pursue a data recovery implementation that decreases the possibility of both sites being affected by a single event. Playing devil’s advocate is a great exercise to perform as a way of asking the important questions – what could go wrong, and how would my business handle it? The good news is, you’re not alone in addressing these issues. With dedicated DRaaS solutions, from a top tier provider your servers can be backed up in geographically-diverse data centers across the country. Other important questions you need to ask yourself are: How much data can we afford to lose? How long can our business afford to be down? A comprehensive DRaaS suite like Evolve IP’s offers a diverse selection of RTO and RPO (define) options to ensure that you can recover as much data as you need, as soon as you need it. As it stands, a large proportion of organizations are not yet utilizing the best, most effective data recovery practices that they could be including DRaaS programs from a service provider, hosted recovery, or backup in an MSP environment. Don’t just be another statistic, make data recovery a priority and ensure that your company is secure before a disaster strikes. The first step towards creating that safety net is to decide which service is right for you, and EvolveIP is here to help. 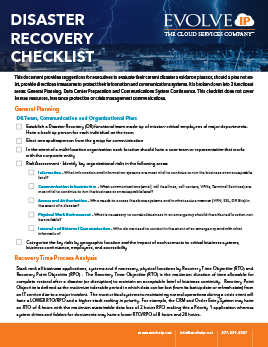 Explore our disaster recovery report for more information on properly defending your business in times of crisis. It is crucial to understand the pros and cons of each methodology so that you can choose the superior data recovery solution that will reduce disruptions, limit loss to business, and maintain customer satisfaction in any adverse scenario.